Referenda have recently been in the news, with questions raised about their role in democracy. There is a tendency for their results to be treated as representing the will of the people, even when the outcome has been very close, as with the UK referendum on Brexit. There are also questions about who has the authority to call a referendum, as illustrated by events in Catalonia. In addition, there may be issues about the administration of referenda, for instance about the wording of the question to which an electorate is to respond, as was the case with the 2014 Scottish Independence referendum: the wording proposed by the Scottish National Party was judged by the Electoral Commission as likely to lead people to vote 'Yes'. The use of referenda to decide political issues is not new, of course. As I argued in my previous blogpost, Harrington had insisted that the people had a right to the final say over whether legislative proposals were to be implemented. Indeed for him this was the crucial role of the people within the political system. Yet he did not accompany his call for popular initiative by advocating referenda. Instead he insisted that the popular acceptance or rejection of legislation should be delegated to a popular assembly. 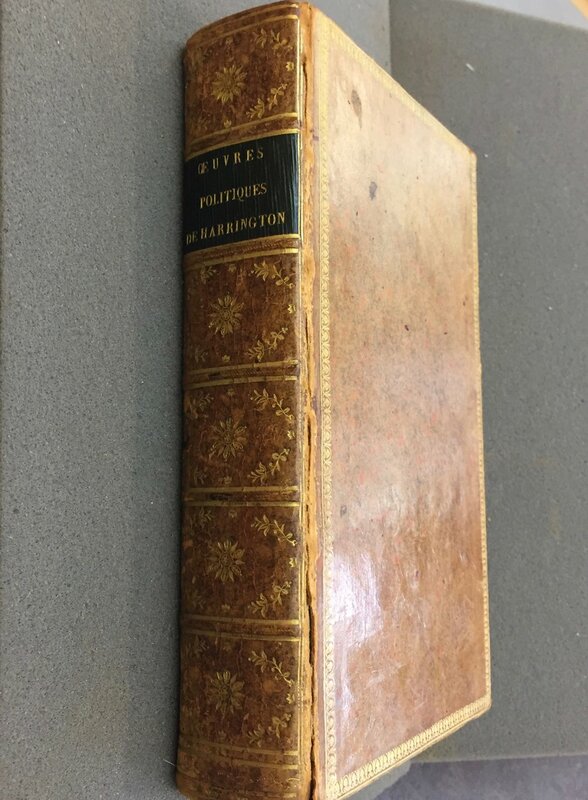 A French translation of Harrington's aphoristic works from the revolutionary period. Brotherton Library, Leeds, Anglo-French 2 1795 HAR. Reproduced with permission. The cover of my book on the Cordeliers Club, which discusses their thought in detail. On the cover is the title page of the club's journal, with its open eye, designed to indicate constant popular surveillance of the government. The provision of regular referenda was, however, appended to Harrington's constitutional model during the French Revolution by members of the Cordeliers Club. Jean-Jacques Rutledge first expressed his interest in Harrington in the 1780s. He urged the French to read Harrington's works since they provided a model by which legislators might 'raise the Edifice of the most equal and the most durable democratic constitution'. (Calypso ou les Babillards, Paris, 1785, p. 221.) Following the outbreak of revolution, Rutledge joined the Cordeliers where he found like-minded friends who shared his interest in democracy. 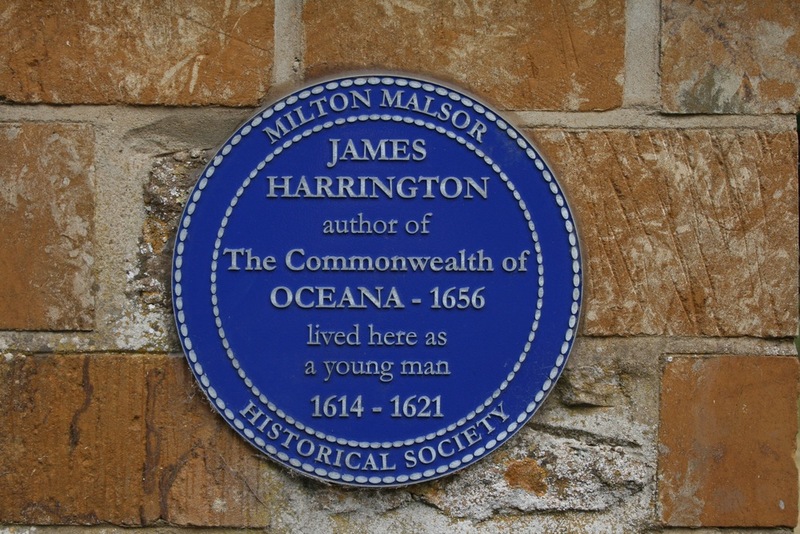 A French translation of The Oceana of James Harrington, and his other works. Brotherton Library, Leeds, Anglo-French 4 1795 HAR. Reproduced with permission. Portrait of Camille Desmoulins. Private copy. Image by Rachel Hammersley. Brissot was not, however, an opponent of referenda per se. Indeed, he insisted that popular ratification of the constitution was crucial. But he drew a clear distinction between constitutive and legislative power, suggesting that only the former needed to be subject to a popular referendum. One of his objections was to do with the practical inconveniences of holding frequent referenda. Recent advances in technology have the potential to make regular referenda a less cumbersome activity (though issues around access to technology and rendering the system resistant to corruption remain). While I would hesitate to propose the popular ratification of laws by the entire citizen body, there does seem to be some value in discussing such ideas. They are, after all, one means of engaging citizens more directly with the political process and thereby overcoming the problems associated with the perception that politics in the UK is currently the preserve of an entrenched political elite.